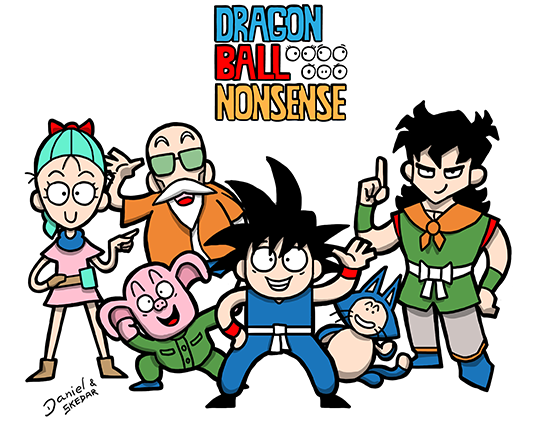 Dragon Ball Nonsense is small project of comic strips among two friends parodying the first part Dragon Ball series that became a great success on Facebook. The debut date of the page coincided with the day that the original series was 30 years old. 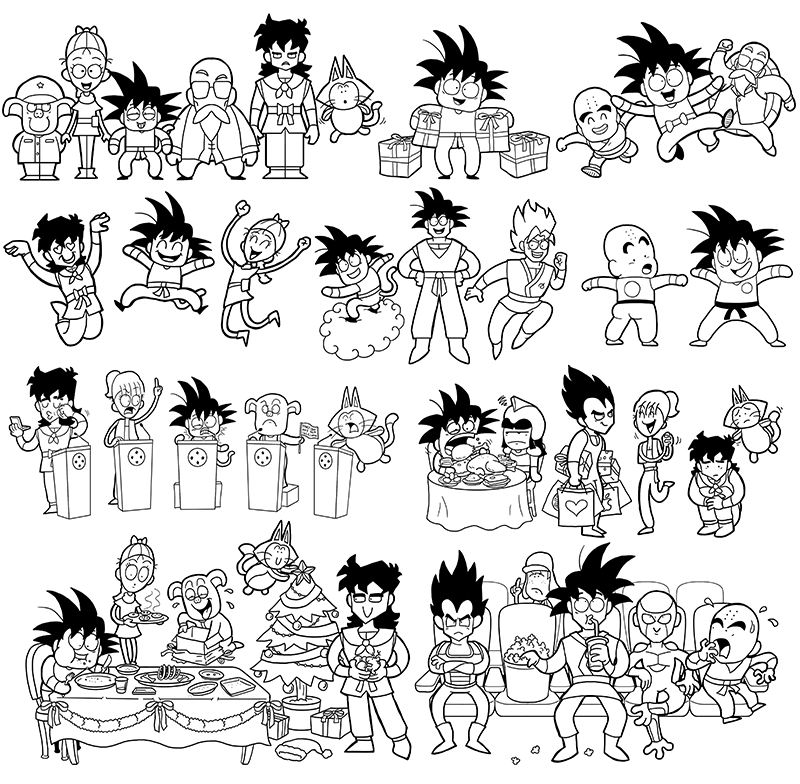 I am responsible for character re-designs, drawing the comic strips (sometimes colouring them as well) and making illustrated Facebook posts. 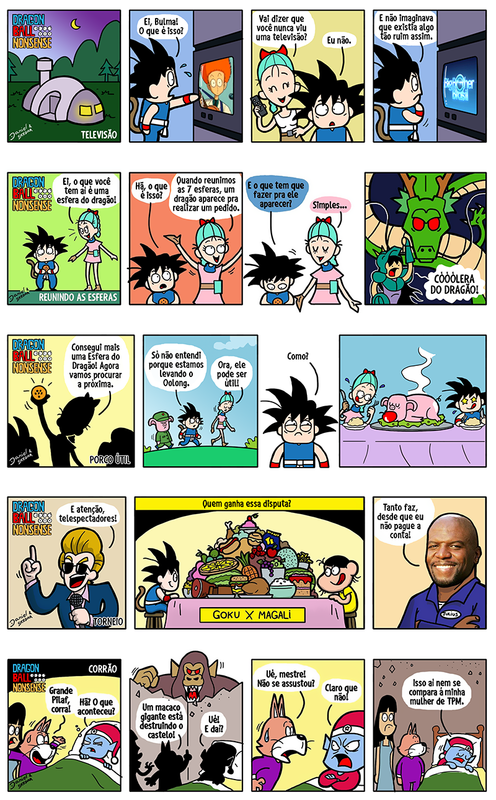 Every comic strip development is a challenge - sometimes I just received the dialogues between characters by email and I had to do my best to make the comic understandable and funny for viewers.